Tūhoe have always had a concern for the environment and living in a way that is respectful of the land and waters. Reinstating these values and principles was central to the design and construction of Te Kura Whare. Taking on the Living Building Challenge captured these values perfectly. Fundamental to the Tūhoe approach is a building made of Te Urewera materials and made by Tūhoe hands. Native timber locally sourced from Te Urewera and pine from Kaingaroa dominates the whole building; from beneath the ground, to the ceilings, inside and out. Clay extracted from land throughout Te Urewera adorns the walls of Te Kura Whare. Tūhoe from across the rohe lent their hands to the construction of Te Kura Whare. You felled trees and cleared fences on the site, located native trees, milled wood, you made bricks, hammered floors, built walls, painted ceilings, you fed workers, installed systems, you planted trees, concreted driveways and so much more; a truly Tūhoe effort. In addition, you took the opportunity to learn along the way – Tūhoe ranatahi went to Tuakau Timber to witness the unique fabrication system and give inspiration to these future leaders in engineering and carpentry and many more learnt how to turn clay into bricks. Tūhoe were involved in every step along the way. Te Kura Whare embodies the innovative and leading practices of the architectural and building industries combined with the rigorous environmental performance standards all anchored by Tūhoe values and principles. 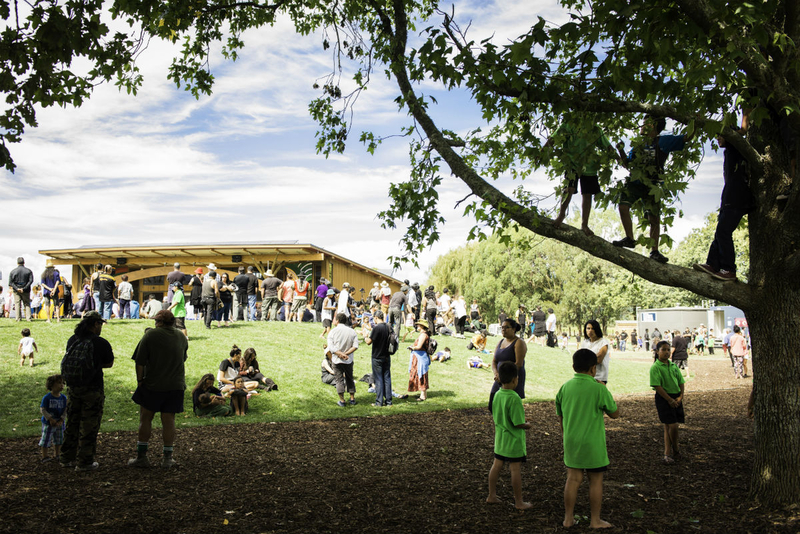 Take a further look at what makes Te Kura Whare a living building. Watch the trailer for the feature documentary 'Ever the Land' on Te Kura Whare, and follow the journey by hitting 'like' on the facebook page here.